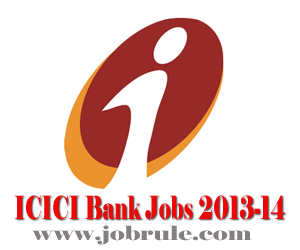 ICICI Bank Recruitment 2014. ICICI Bank invites Online Application from dynamic, career oriented, graduate Indian Nationals for of Probationary Officer (PO) training programme for November 2013 and February 2014 batch. Blood relatives (Brothers, sisters, spouse and children) of ICICI bank employees cannot apply for ICICI PO training Programme 2013-2014 . Blood relatives of ICICI bank group Companies employees can apply. Graduate in any discipline with minimum 55% marks from recognized University or institutions.